Aluminium outdoor side chair with polypropylene Black slats. Available from stock and delivered assembled and ready to use. Includes a heavy duty aluminium frame. 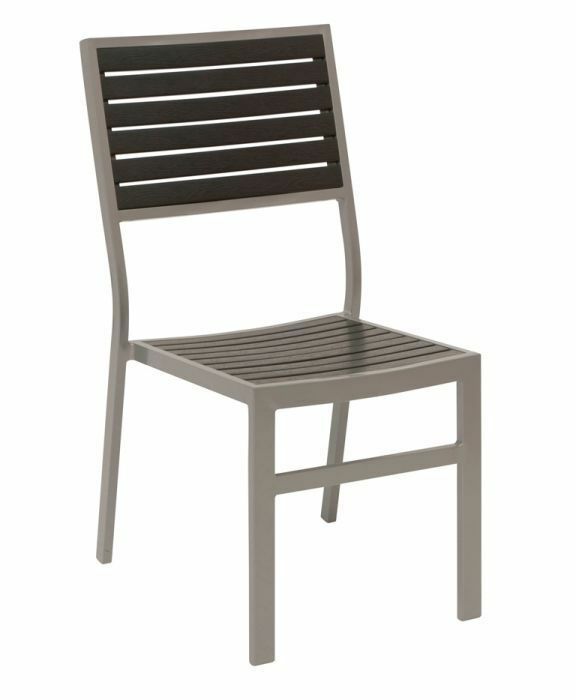 Hard wearing outdoor aluminium side chair with attractive black slats on both the seat and back of the chair. This range is held in stock for a quick 3-5 working day delivery.